The self catering accommodation at Raraig House is peacefully situated in upper Tobermory, sitting in 1 acre of open ground. Patio doors provide magnificent panoramic sea views overlooking Tobermory Bay, Calve Island & the Sound of Mull. 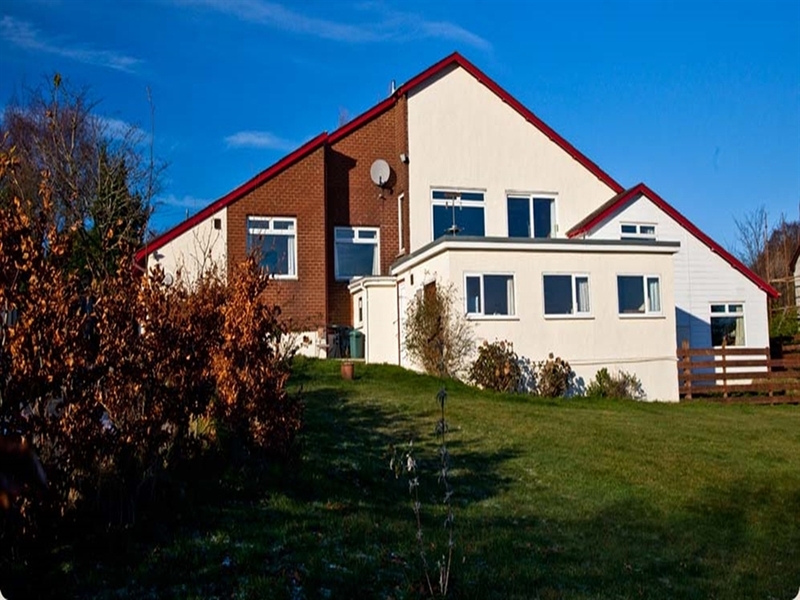 Raraig House self catering is cosy, modern and has an open plan living/kitchen area, double bedroom, separate shower room with wc, wash basin and underfloor bathroom heating and electric towel rail. The self catering is fully equipped with central heating, dishwasher, washer/dryer, fridge, microwave, ceramic cooker, digi tv, dvd and cd player. Bed linen is provided, however, personal towels are not. All electric with £1 and or £2 coin meter being the responsibility of the guest.